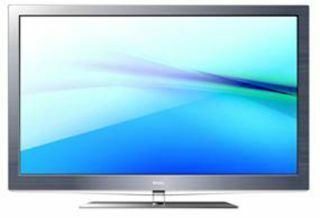 Haier to bring Freeview HD LCD/LED TV range to the UK | What Hi-Fi? Chinese electronics giant Haier will begin selling its H320 series of Full HD LCD/LED TVs in the UK from September. Initially two models will be available, a 32in and 42in. Both have a Freeview HD tuner, 1920 x 1080p panel, edge LED backlighting, SRS TruSurround XT technology and USB recording functionality. The latter allows any programme to be recorded on to a USB stick, or using the TimeShift function programmes can be recorded if you're interrupted (say when the phone rings) so you can go back to watching it later. You also get four HDMI inputs for connecting external devices such as a Blu-ray player. Prices to be confirmed.